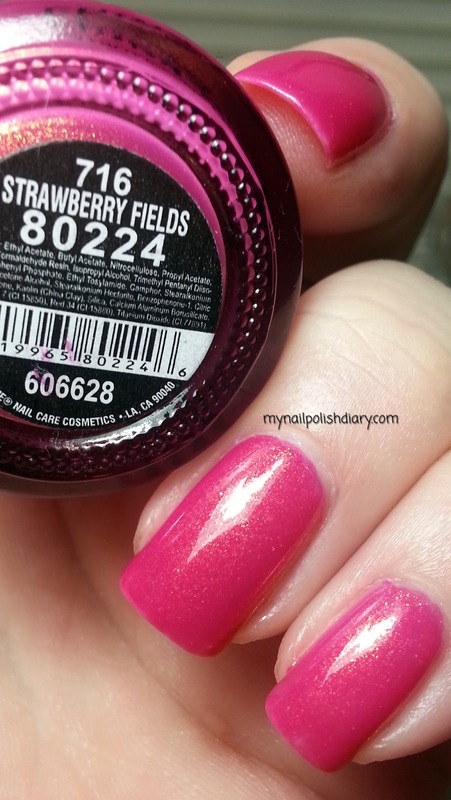 China Glaze Strawberry Fields is from the 2009 Summer Days Collection. It's a medium pink and full of golden shimmer. I have worn this one so many times. I just never get tired of it. It's great for a pedicure too. 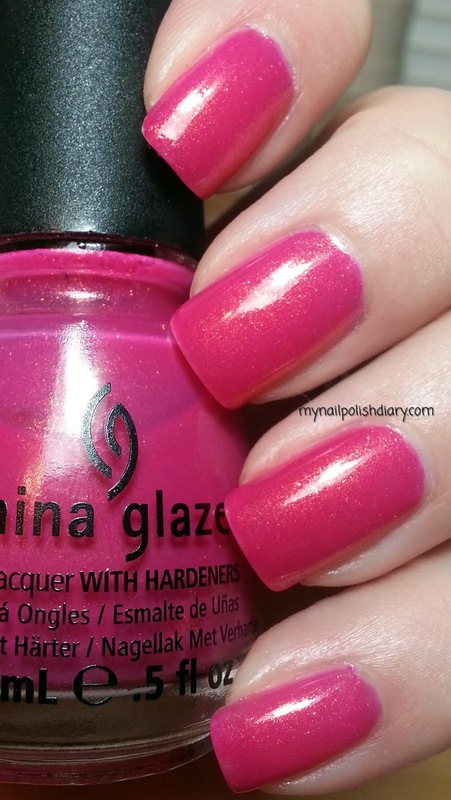 This is such a pretty, bright pink! I love the shimmer in it too, I bet it really comes to life in the sun! I wish it wasn't raining when I wore this so I could have gotten sunny pictures. You're absolutely right it does come to life in the sun. Thanks for looking Dani!